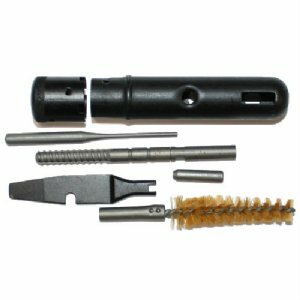 Polish production AK47 AKM, 7.62mm round cleaning kit new. Includes all parts as pictured. Fits in most military production AK47-AKM-AK74 buttstocks. Product Review: Bought a used surplus kit from a big name retailer actually cost more than this one. It doesn't come close to this kit. Everything included is in perfect shape and works as it is supposed to. Every AK owner needs to buy at least 5 of these right now! "Polish akm round cleaning kit, new"
"AKM cleaning kit- and AKM cleaning rod"
Product Review: I have been in the SKS/AK hobby for well on 20 years. 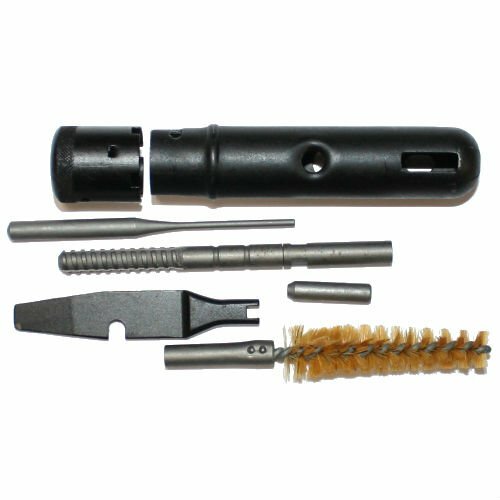 This is hands down the best buttstock cleaning kit for these rifles I have EVER had. Thank you RTG for not selling crap like everyone else!